FINALLY!!! Thanks to Alan Sweetman we finally managed to get our grubby little hands on some woods from the opposite side of the world. For some reason Australian woods are exceedingly hard to come by in this neck of the woods. 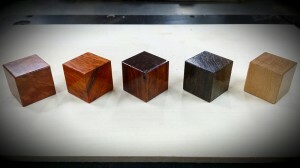 Alan was kind enough to hook us up with several Australian Woods that were on my must have list. What he sent you can find below. 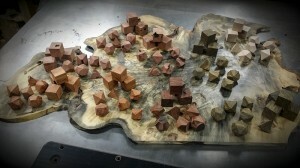 These are some truly amazing woods that I’m not likely to get my hands on again any time soon. 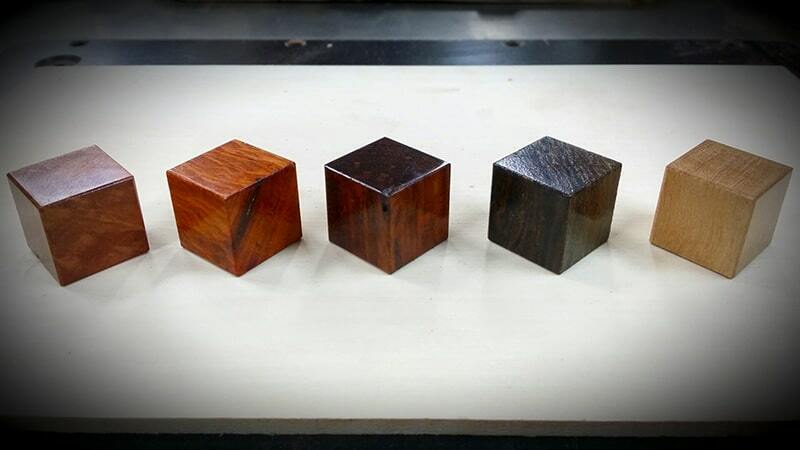 Sheoak – Lacey orange and yellow. Stunningly beautiful. 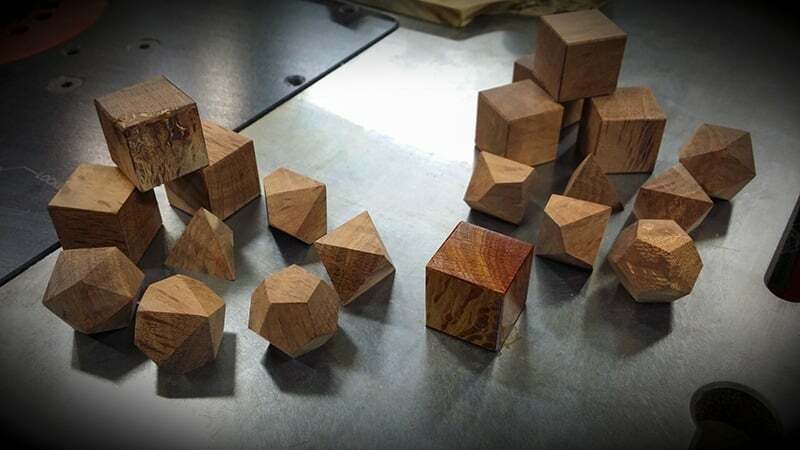 Some of the best grain patterns I’ve seen in our dice. Jam – this stuff shimmers like bubinga on crack but has the density of your average rosewood. I am falling in love with Jam. Grass Tree Root – reminds me of palm wood with a MUCH finer texture and a deep evergreen coloration. Pepermint – (not that pepermint) is tan in coloration with a slight shimmer and will have highly visible engravings. 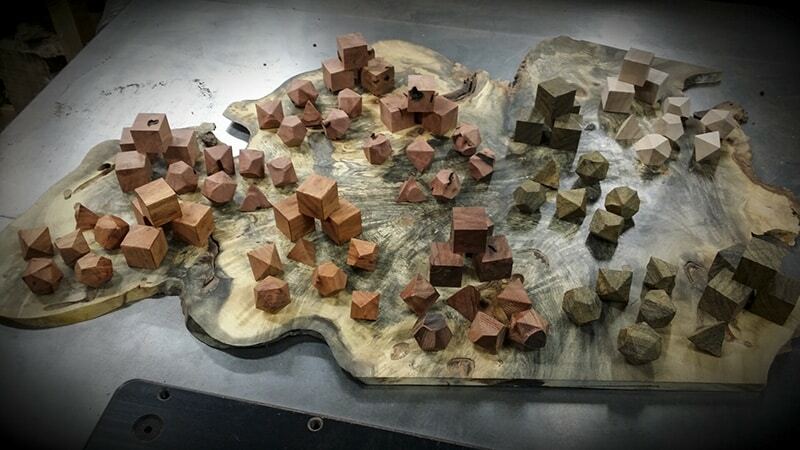 As to the polyhedral sets, we have Coolibah in the back left, Sheoak in the front left, Jam front center, Grass Tree Root on the right, and Pepermint in the back right. Can’t wait to see these finished later tonight. Holy crap I love Australian woods. Oh and Alan, I’m sending you one badass set of dice made from Texas woods. The woods you sent over are amazing. I almost forgot about the Rock Oak Alan sent. Both of these sets have nice sapwood contrast and are super hard! I now understand why they call it Rock Oak. Is rock oak heavier than most woods? I’m looking for more weight in my hand as I roll, if that makes sense. Is jam heavier than rock oak? I wouldn’t think there’d be a tangible difference in hand though.